This year we will be holding our Ninth Annual Pasta Dinner Fundraiser in honor of Edmond on Friday, June 1st from 5pm-8pm. Dinner will be served from 5:30-7. Stachey’s Pizzeria has generously offered to donate the food again this year for the event. The Raffle winner drawings start at 7. There are many great prizes available in this year’s raffle including prize donations from Canobie Lake Park, Tuscan Kitchen, Lake Street Garden and other generous local businesses. Join us for dinner, raffles and live music by David Lacroix. We look forward to seeing you at the event! As always we could not continue to do this Pasta Dinner in memory of Edmond without community support. For this, we thank you in all your contributions to help us to keep doing something positive in Edmond’s name. This year we raised close to $5,000 which is in keeping with past years and we had over 100 guests attend. It always amazes us that we can keep this going and people still give their time and thoughts to this great cause. But then again we aren’t surprised that something in Edmond’s name would keep going because in spirit that was Ed. 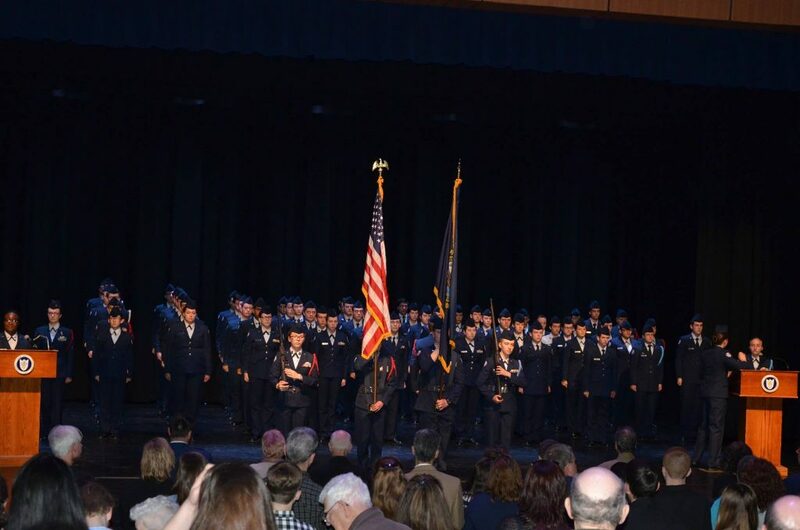 So we want to thank you all for continuing to support this cause and for helping us give scholarships to JROTC students to go and continue their education. A special thanks goes to Stachey’s Pizzeria for donating the food again this year and Texas Roadhouse for providing the rolls. We would like to thank all the companies who provided the raffle prizes for the event. And to David Lacroix, we want to thank you for providing the entertainment for the event year after year and helping us spread the word. We would like to congratulate the 2017 Recipients of the SSG Edmond Lo Scholarship. 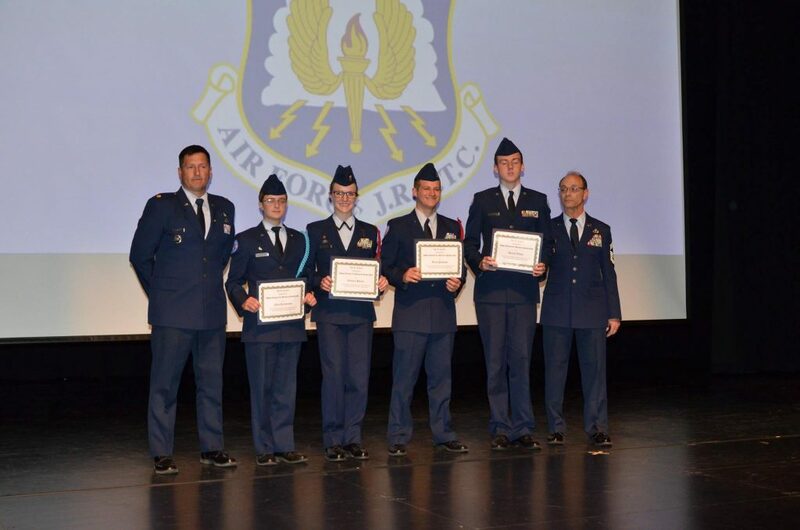 They are Nick Arcidiacono, Rebecca Healey, Keith Palombo, and Daniel Tilton. Give ’em hell Blue Devils! 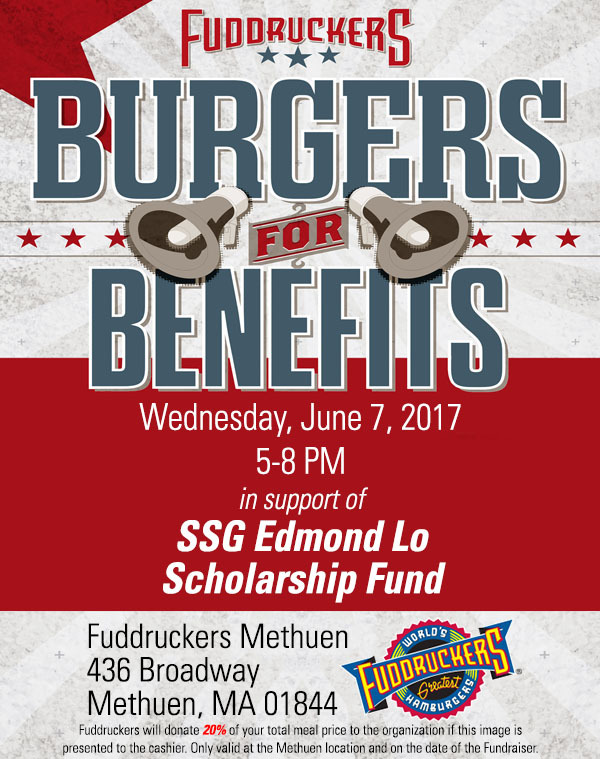 Fuddruckers at the Methuen, MA location will be hosting an event “Burgers for Benefits” on June 7th from 5-8 pm in support of the SSG Edmond Lo Scholarship Fund. Just present the attached image to the cashier and Fuddruckers will donate 20% of your meal total to the Scholarsip Fund. 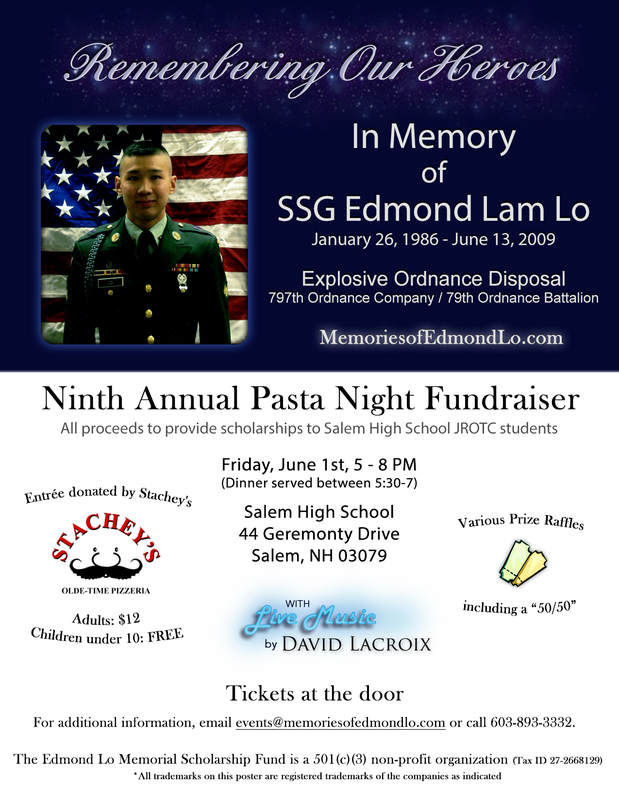 We will have printouts for this event available at the Eighth Annual Pasta Fundraiser on June 2nd for you to bring to Fuddruckers or you can show the image from your smartphone to the cashier. We would like to congratulate the recipients of the SSG Edmond Lo Scholarship Fund for 2016. The recipients were Trevor Gagnon, Bevin Gatlin, Jeremy Needham and Samuel Tilton. There was an oversight and we didn’t post these winners last year which we greatly apologize for. We hope you are doing well in furthering your education and career paths and wish you the best in your pursuits and endeavors. Best wishes to all of you.